But let’s focus here… We didn’t really get our hands on any The Force Awakens loot until September, and it was a slow roll out in varying parts of the country. Believe me, I was constantly checking to see the market fluctuations on specific figures all day, every day for months. Surprisingly, this top ten list yielded only two spots from the mega-sequel, surprising even me! When the list was all done and finalized, I gotta say, it looked stranger than Adam Driver without his Kylo Ren mask. While their weren’t as many Star Wars entries as I’d expected, it was a damn good year in toys for both new and old properties. Without further ado, Midtown Comics & AFJ are proud to present the top 10 figures & collectibles 2015! It’s hard to believe that it’s been thirty years since this timeless (timeless, get it?) classic graced the multiplexes and changed my life forever. Despite there being a lot of Back to the Future merchandise on the market, mostly from Diamond Select, there has never been an actual action figure line (unless you count those tiny MiniMates). 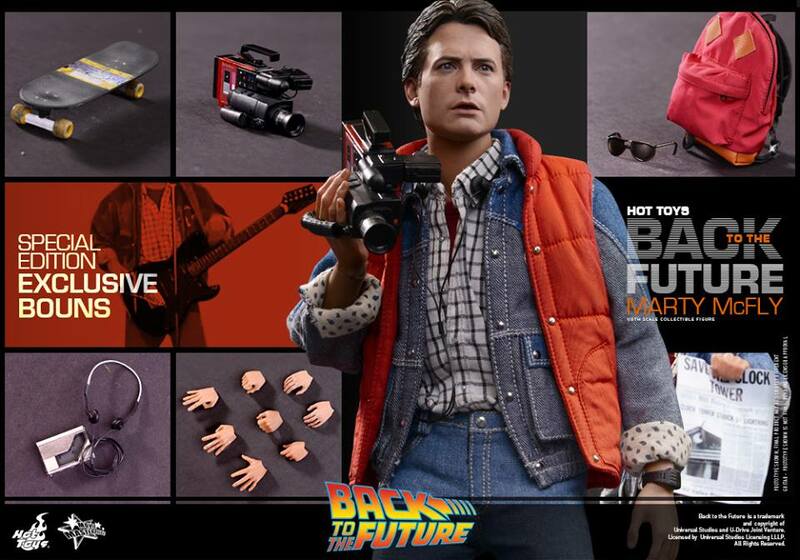 So when Hot Toys announced their Movie Masterpiece for the low, low price of $224.99, BTTF Junkies jumped all over it! This is the Rolls Royce of Marty McFly figures. There will be no equal except maybe the Part II figure due in 2016! Each Hot Toys figure is hand sculpted, and the extras? Let’s just say there is the extra mile and then there is the extra marathon. Hot Toys chooses to go the latter. I indicated two separate price points because it all depended upon whether you spent money on a case of Marvel Legends ($160) or you bought each piece separately or the entire Hulkbuster completely finished. Either way, getting “Veronica” was not an easy task. If you remember from the monster Avengers sequel, Tony Stark & Bruce Banner discuss “Veronica” and after multiple viewings, naturally it was obvious they were talking about the Hulkbuster armor. When I finally put my “Veronica” together, it was my personal Everest and totally worth the wait after first seeing it back at Toy Fair in February. 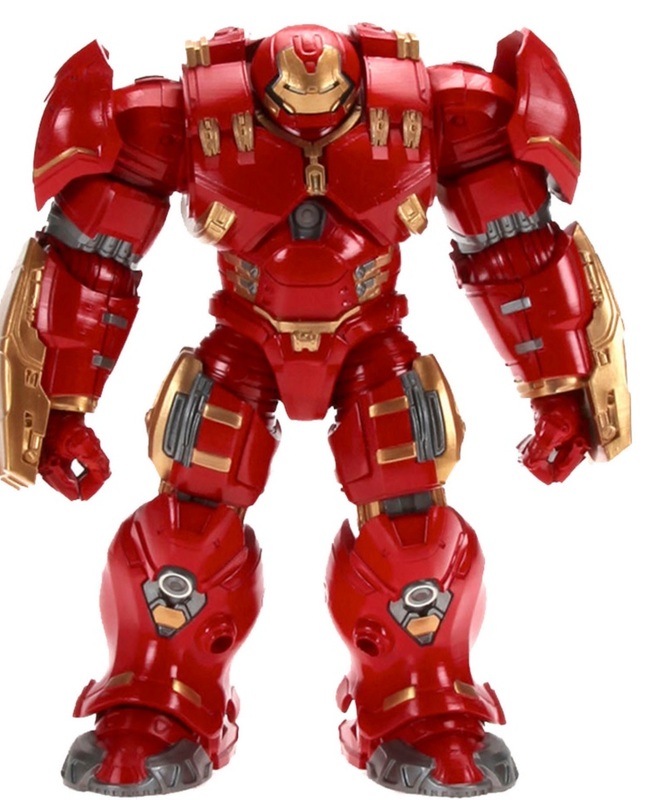 Hulkbuster is still going between the $80 & $100 mark, sometimes more, sometimes less. Still, it definitely was the most sought after BAF I have ever seen in all of my years of collecting. Pop! Vinyl Figures from Funko are huge right now and only getting bigger. And this two-pack of Pop! Vinyls from SDCC ’15 were really the first toys from the upcoming blockbuster Batman v Superman: Dawn of Justice. I love Pops, I really do, and I was admittedly late to the party. But once they started making my favorite 80’s properties… I had to give in. Then once I learned about this whole “retired” business on the secondary market, well, I was hooked. I didn’t even bother with number six on our top 10 because one of these two-packs sold for $225 just this morning! So there is no slowing down on this two-pack, especially since they only made 500 of these bad boys! Toy impresario, Mez Markowitz, does not mess around. 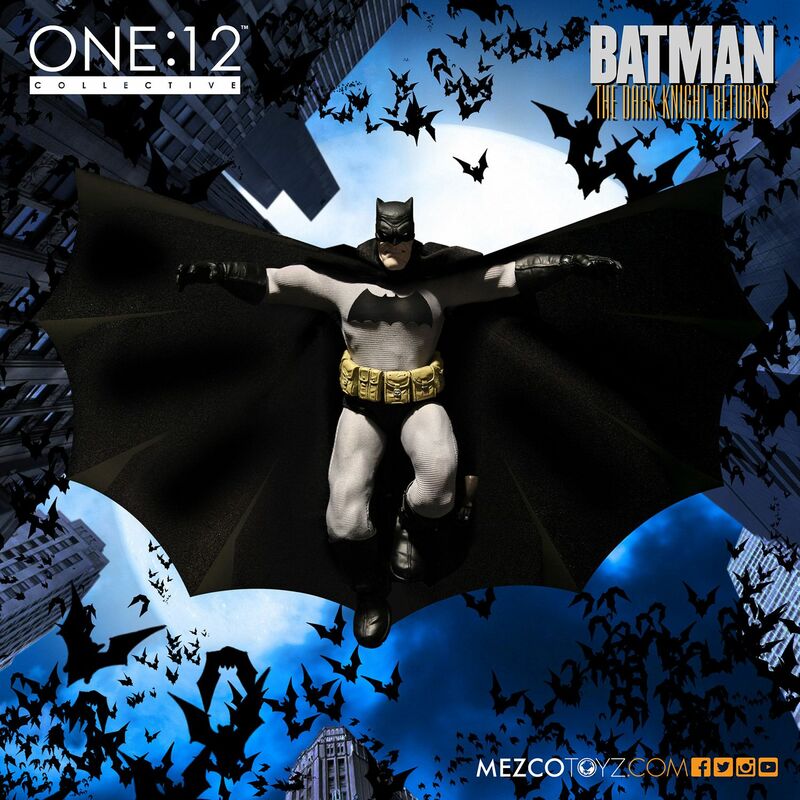 When he set out to produce the new Mezo One:12 Collective, his vision was a super high-end toy at a non-Sideshow/Hot Toys price. 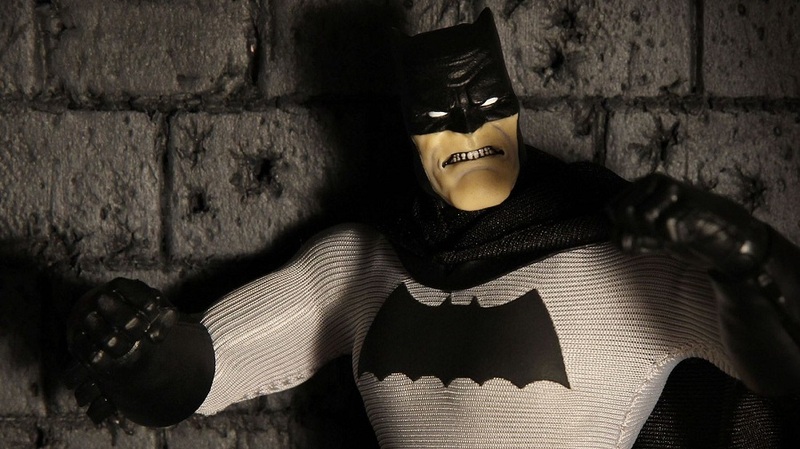 This is The Dark Knight figure that fans have been waiting for since Frank Miller’s magnum opus that dropped way back in 1986. The debut figure in the One:12 line is a fully poseable collectible action figure that features, and I love this, a “hyper-articulated body” boasting over 30 points of articulation! The throwback feel continues with the dark blue/black and grey REAL FABRIC costume. This figure is made with the Action Figure Junkie in mind because it has this amazing deluxe, fifth-panel window box with a translucent acetate slipcover. The company line is that the packaging has been especially engineered to allow for both maximum protection without sacrificing ease of removal for display. This alone makes Mez Markowitz a true innovator of the industry. And as if that is not all, the Pre-Order was just $65 before prices started skyrocketing for those who didn’t get in on it early. The Disney Store Star Wars Die-Cast Elite Series literally came out of nowhere during the Episode VII “Midnight Madness” sale back in September. The first six to be released were: Finn, Rey, First Order Flametrooper, First Order Stormtrooper, Kylo Ren & Captain Phasma. I figured these six would be it and that would be that. I was wrong. Suddenly, I found myself running to my mall because Disney would be releasing a new Die-Cast figure up until the film’s release date. While they are all pretty awesome, it was Revenge of the Sith‘s General Grievous that somehow became the runaway hit. Despite its much bigger size than the rest of the figures, Grevious had this dope rectangular packaging to accommodate its extra-large size. And although each figure only cost $27.50, drawing lotteries were exclusively held at Disney Stores (but if you missed out you could get in the next day online at 3 AM). 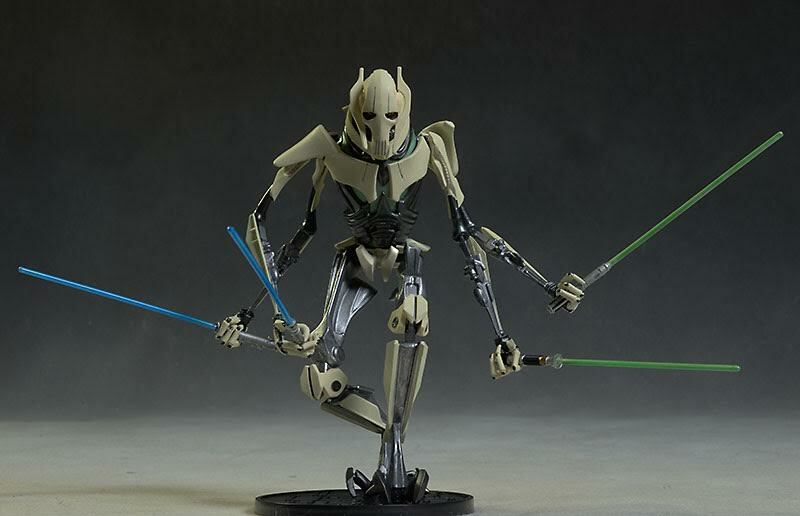 I should have ordered two because one Grevious, just today, sold for $228. This is the most I’ve been excited about die-cast metal since my brother’s Godaiken collection in the 80’s! There is no doubt that the Black Series is a colossal hit and that the 6-inch format has been practically, universally adored by Star Wars fans of the action figure and collectible world. The 6-inch Black Series has most definitely made me a Star Wars collector again. And if there was one name I heard over the past three months, it was the elusive Black Series Captain Phasma from the upcoming film. 3 & 3/4″? Not a problem. 6-INCHES? Big problem. 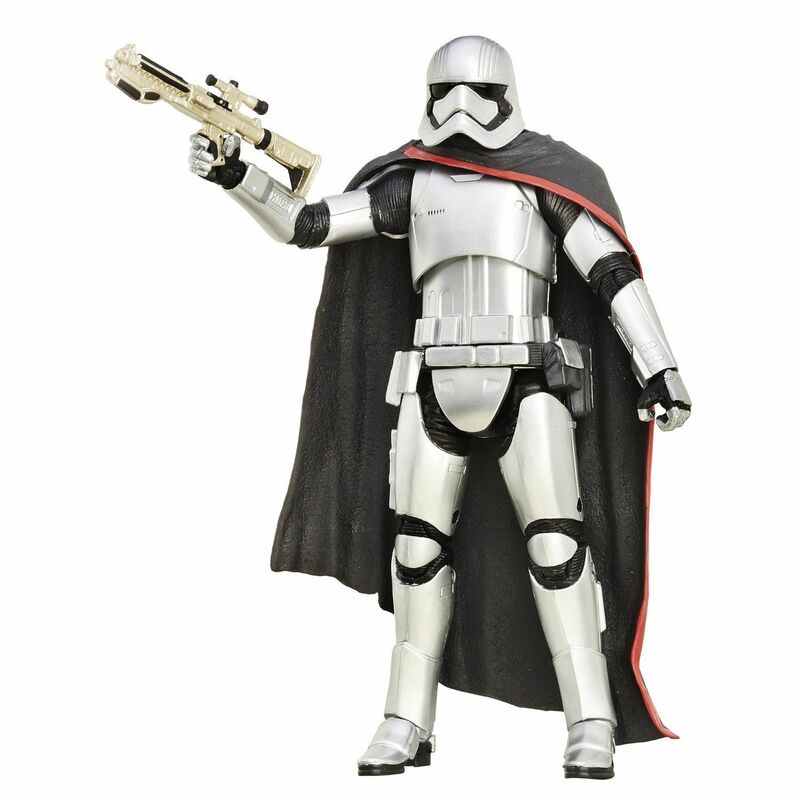 Scalpers on evilBay were having a field day commanding up to a c-note for the mysterious character that basically looked like a shiny silver Stormtrooper that we knew very little about (except that the character was a woman and was being played by Game of Thrones regular Gwendoline Christie). Now that the dust has settled, I find it to be totally ironic that the actual Captain Phasma character is in just a scant three scenes in the actual film and takes up less than 90 seconds of screen time! Go figure—literally. “You will believe a man can fly,” was the tagline for director Richard Donner’s classic film and the Superman grew up on. 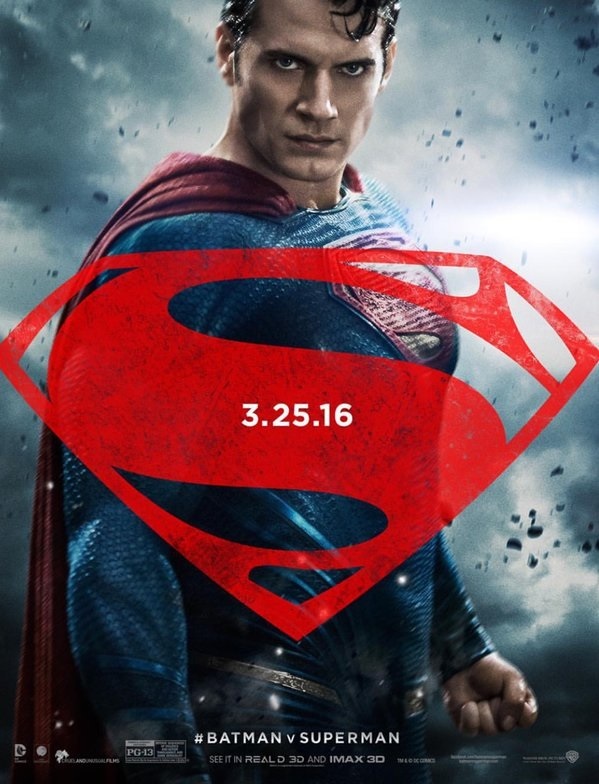 However, after 37 years, we were never given a screen accurate Christopher Reeve Superman. The plan was to release a couple of Wizkids figures; an Adam West ’66 Batman and a Heath Ledger ’08 Joker. Each came with a DVD and was exclusively sold online at the Warner Bros. store or at Toys “R” Us. No Target, no Walmart, etc. While the West ’66 Batman and Ledger ’08 Joker were highly sought after and highly collectible, it was the Reeve’s ’78 Superman that was the white whale of the group. I honestly cannot remember a time that people have been so voracious over a Superman figure. I shuffled this list around more than a Vegas blackjack dealer. In the end, the company that I voted “Toy Company of the Year” on the now defunct Mania.com a few years back takes the cake. It truly was the year of the mysterious Arkham Knight character. 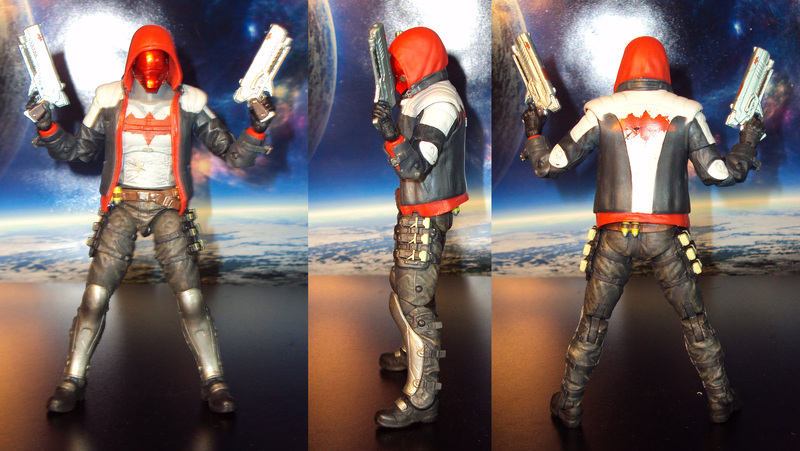 It was a smart move to launch the hype with the aforementioned Red Hood figure to get fans buzzing about just who this new Arkham Knight figure really was. 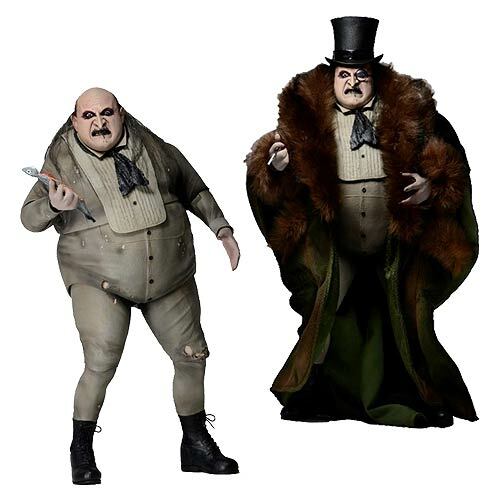 Between the hit video game and the all-encompassing merchandising that seemed to be everywhere, the character created for the video game transcended the consoles and became a new character to be written about in the Bat-canon. 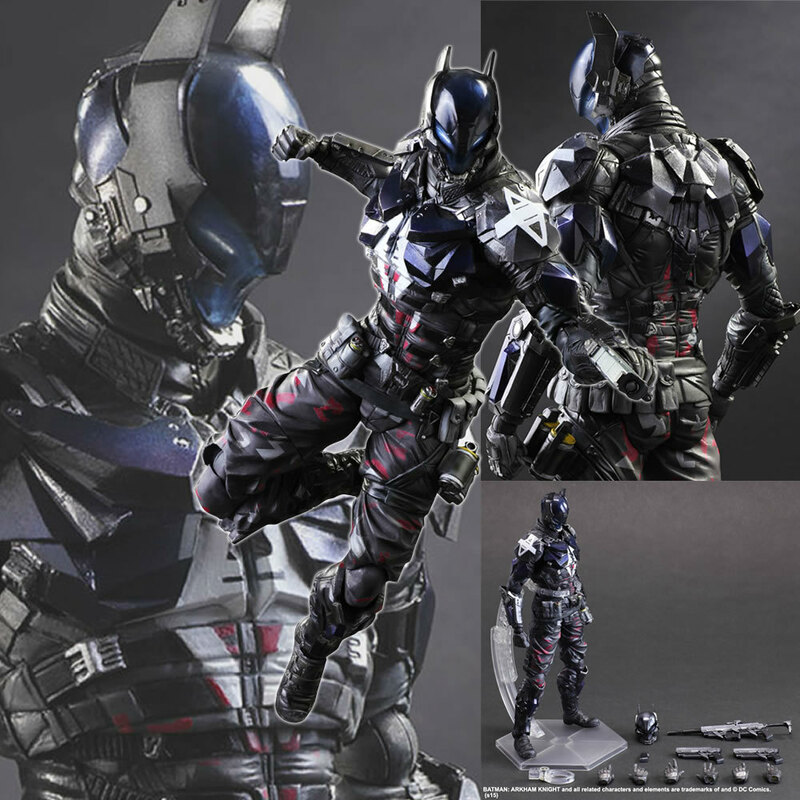 There is absolutely no denying it, but the Arkham Knight is just an awesome looking figure, and in the hands of Play Arts Kai, fuhgeddaboutit! Enjoyed the blog…well written. !loved your number 1 choice but also liked the Jason Todd robin.